Fifteen years ago today, Sony launched the PlayStation 2 in North America, and in typing that sentence just now, I feel very, very old. It’s funny in hindsight because I remember being in my second year of highschool when the PlayStation 2 came out, and I was nothing but underwhelmed by its line-up and prospects. In 1999 I had gotten my first taste of what it was to have a PlayStation in my house when my brother got one for Christmas, and in those few weeks of playing games like Metal Gear Solid, Resident Evil 3: Nemesis, X-Men Vs. Street Fighter and Mega Man 8, I wondered how I ever lived without one. The PS2 at least starting out was a different case. It had launch titles that people loved, like Timesplitters, yet nothing on the system screamed “must own” to me, especially when the Sega Dreamcast was going so strong with a fantastic line-up, and even Sony first PlayStation got an adorable redesign in the sandwich container sized PSOne, which was still getting excellent software like Mega Man Legends 2 and Dino Crisis 2. That, and for someone who went from 1996 through December 2000 only owning an N64, there was a lot of catching up to do software wise. It’s amazing how one short year can turn a console into something that you looked at with little to no enthusiasm, to an absolute must own device. Being a huge Metal Gear Sold fan, it pained me that I couldn’t play Metal Gear Solid 2: Sons of Liberty day one (I didn’t get my own PS2 until the summer of 2002). That same year also saw the release of some of my all time favourite games including the then-new IP Devil May Cry from Capcom, Silent Hill 2 from Konami, Jak and Daxter: The Precursor Legacy and an upgraded directors cut of one my most beloved entries in the Resident Evil series, Resident Evil CODE: Veronica X. The momentum didn’t stop in the following year, and would keep going for many, many years to come and like many I’m sure, it made the PS2 my most-played and perhaps favourite console of all time. I got my PS2 shortly before I went to university, and it made a terrific all in one box for my very tiny room on campus, allowing me to play not only PS2 games, but also games from my PS1 library as well as my small collection of DVD movies. Later on when I would buy a GameCube, specifically to play Resident Evil 4 before I knew it would arrive on PS2 in ten months time, and when I travelled anywhere, I would always favour my PS2 over it for the above three reasons. What we now call the sixth generation of consoles, the one that contained the Dreamcast, PS2, GameCube and original Xbox, was also home to some of the most well-regarded comic book games ever produced. While none of these were exclusive to Sony’s monolithic black box, chances are you remember playing these on Sony’s machine above all others. Each of Capcom’s entries in what is called the Vs. Series arrived on the original PlayStation, but due to the consoles limitations, a true arcade conversion was not possible from X-Men Vs. Street Fighter thru the original Marvel Vs. Capcom. The main problem being that unlike the arcade games of the same name, fights could only be one-on-one as opposed two-on-two tag-fights in the arcade. 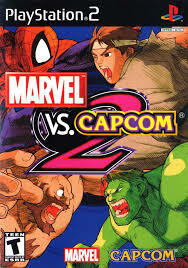 That all changed with the PS2 release of Marvel Vs. Capcom 2, a Sony system first in that the chaotic three-on-three matches could be played exactly as they could in the arcade game. The PS2 was not the first console the game would arrive on, that honour would go to Sega’s Dreamcast, however given the death of that console and the poor 2-D control option for the other system this game would arrive on, Microsoft’s original Xbox, the PS2 was an excellent home to this classic titan in the fighting genre. After taking over the X-Men video game license around the year 2000, publisher Activision’s ambitions with the franchise seemed to be very small. Sure, their Mutant Academy fighting games were fun, though not ground breaking, and X2: Wolverine’s Revenge is best forgotten. 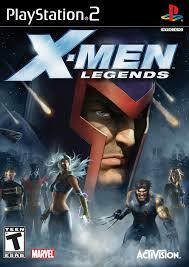 In 2004-2005 however, developer Raven produced what can easily be described some of, if not the greatest X-Men games of all time in the X-Men Legends franchise. Combining an overhead RPG dungeon crawling with the X-Men license was a stroke of pure genius, allowing players to create their own dream team of mutants, each with customizable powers and equipment, to go up against the likes of Magneto in chapter one, and Apocalypse in chapter two. Developer Raven went on to start the Marvel Ultimate Alliance series, the spiritual follow-up to X-Men Legends, before handing the series off to developer Vicarious Visions. Being a late comer to this excellent series of games, I wish that someone would go back and make a chapter three to close out the franchise. 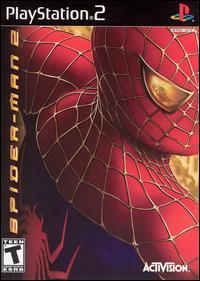 Spider-Man got a new lease on life in the early parts of the new millennium, thanks to an excellent late in the console life-cycle game from developer Neversoft on the PS1, as well as the first live-action movie from Sony in 2002. To coincide with the release of the first film, developer Treyarch produced a tie-in game that despite having the power of the PS2 behind it, felt little more than a small iteration on the PS1 titles. A little more than two years after the release of that game however, Treyarch would return to the license and do what no one else had done before: swing around a virtual New York City as everyone’s favourite web-slinger. I’ve written articles about how I don’t think that Spider-Man 2 has aged particularly well, however I won’t deny its place in comic book game history. Even Spider-Man games today being released on the PS4 like Disney Infinity 2.0, Lego Marvel Super Heroes and last year’s The Amazing Spider-Man 2 owe so much to this game’s template. Game’s produced on much powerful hardware, like the just mentioned TASM2 don’t even come near to matching the initial thrill of leaping off a building, firing a web-line onto a building and leaping stories into the air. The Hulk is a hard character to translate into another medium, just look at his less than stellar track-record in the live-action film space. Leading up the release of Ultimate Destruction, his video games weren’t fairing much better. Hulk’s games in the 16 and 32-bit era are one’s that I’m dreading reviewing in the future, and while 2003’s Hulk was a pretty fun game, it was just another beat-em-up with a Hulk skin. 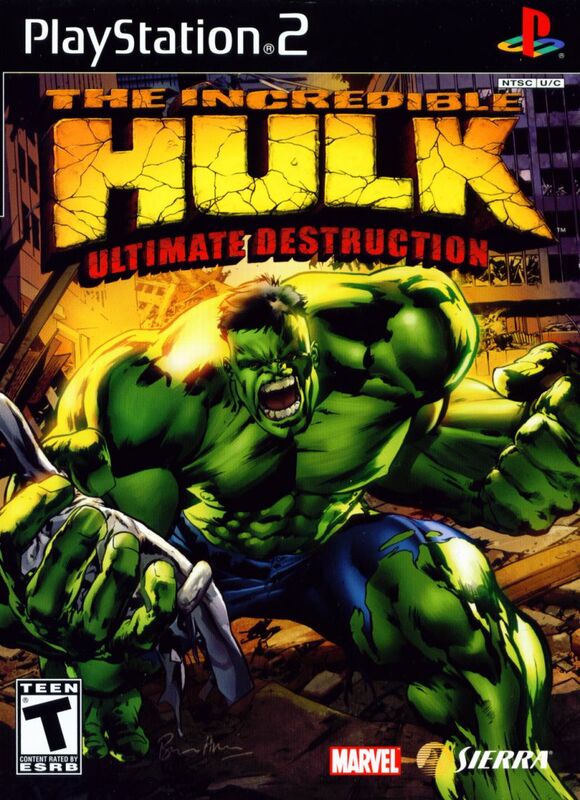 Two years after the release of Hulk, developer Radical did what Treyarch did for Spider-Man with the release of 2005’s The Incredible Hulk: Ultimate Destruction. Like Spider-Man 2, UD allowed the players to explore an open-world environment as the jade giant, only wreaking much more havoc in his wake. What made this take on the Hulk so much fun is how powerful the character felt. Everything in the environment was a weapon, from tanks, to trees, even parked cars would be turned into giant metal boxing gloves. Combine this with a, pun intended, incredible feeling of power as the Dualshock vibrated with every massive step, and you’ve got a game that no fan of the character, or open-world games in general, should miss. The mid-2000’s were a great time for fans of comic book games, from Spider-Man 2, X-Men Legends and The Incredible Hulk: Ultimate Destruction, there were a lot of quality games to pass away hours with. 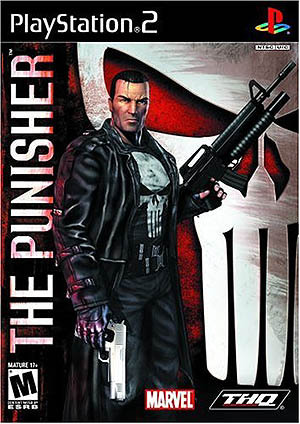 Sandwiched between those classics was a game from THQ and developer Volition based on the Punisher that after all these years, I’m surprised it hasn’t received a sequel. Loosely following up on the terrible but well-meaning 2004 film starring Thomas Jane, The Punisher is the game that fans of the character had been waiting for their entire lives. Featuring a story penned by Garth Ennis and starring the voice of Thomas Jane, The Punisher allowed you to do what the character does best: mow down lots of bad guys with a lot of large-caliber weapons. More so than either the story, the voice talent or the gun play, The Punisher’s defining feature was its interrogation scenes. These vignettes played out like a quick-time event where the anti-hero would literally at times but his targets head in a vice, or a rhino’s cage, or may other over-the-top scenarios that were equal parts horrifying and hilarious.